With years of research and two case lines under our belt, we decided to start over and produce a line of enclosures for the next generation of eurorack synthesizers. The eurorack modular ecosystem is expanding faster than ever and manufacturers are constantly pushing eurorack cases and power supplies to the limits. What started as a power supply designed to drive primarily analog synthesizers has transformed into a supply that needs to simultaneously meet the unique demands of sensitive analog circuitry, power hungry digital processors, and ground sensitive user interface modules. So we started with what matters most. Clean power. A lot of it. Up to 3x the amount of clean power available in cases from other brands. Next we turned our focus to the enclosure itself and there was only one goal. Make the case stronger. Our engineers tested countless combinations utilizing different types of wood, joints, adhesives, assembly techniques, and hardware to ensure that Structure cases are as durable as they are beautiful. With a clean and gorgeous design that promotes creative exploration, the Structure enclosures are our most robust and refined case line yet. With massive amounts of both room and clean power, you can reach completely new heights in your creative performances. An inspiring centerpiece to any electronic music studio, the Structure 344 merges a classic form with robust power and deep, integrated synthesis tools. The 4 row, 344hp desktop eurorack case features a custom Utility Bridge to handle a wide assortment of functions. A true eurorack studio command center. 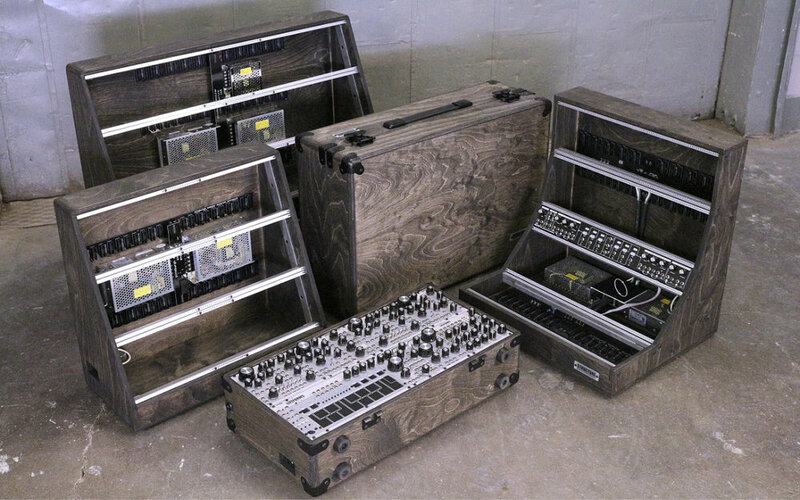 The Structure EP-270 combines the precision craftsmanship of our wood shop with the reliability of our robust Structure power supplies to create a beautiful triple row, 270hp desktop eurorack case. The perfect enclosure for any modular synthesizer laboratory.